Stitch yourself some classic chic, choosing from two wardrobe ensembles plus a collection of must- have accessories. 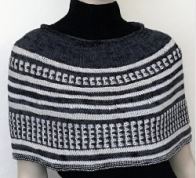 These timeless projects will be in style years after you’ve knit the last row. Create wardrobe essentials that combine classic lines with comfortable styling. Find 24 projects that cover a variety of techniques and stitch patterns in three stylish collections: the “City Life” and “Elegant Afternoon” ensembles—featuring hats, tops, skirts, and bags—and the “Gotta Have It” collection—featuring irresistible hats, scarves, and gloves. 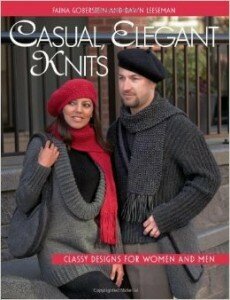 Versatile designs make projects easy to knit for both him and her. Number Of Pages: 96 Buy eBook from Martindale & Co.
For more images of projects featured in this book please go to the Ravelry page for this book.